Like Frida Kahlo, fashion designer Carla Fernández takes inspiration from Mexico’s rich history and ancient civilisations. She works with indigenous communities and creates fresh pieces that champion Mexican design. 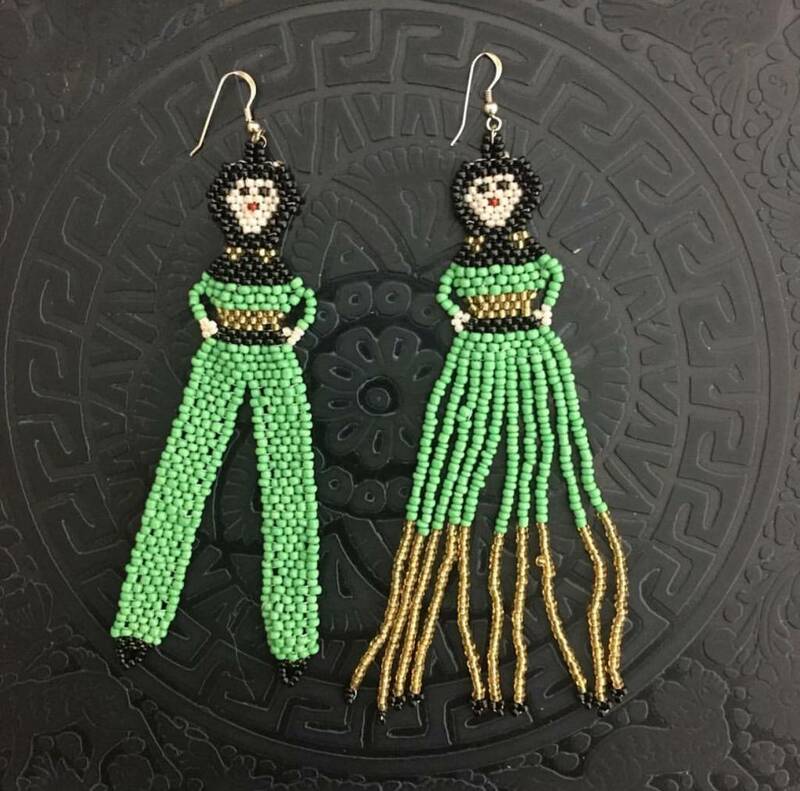 These drop earrings are made with chaquira beads – very small, brightly colored beads – used in traditional Mexican crafts. Made in collaboration with the Mooy artisans from the community of San Pablito, Pahuatlán, Puebla, they are finished with sterling silver hooks.